Hackathon events are a great way to create your space in business. Join one of our hackathons! A hackathon or a 24-hour challenge is social event that is meant to take participants out of their comfort zone, in order to inspire the creation of new ideas. Participants work together on solving societal problems or business challenges, often through the use of (space) data and technology. In our experience, hackathon events are the perfect way to meet inspiring people, get brilliant ideas and learn useful skills. Additionally, our hackathons usually lead to the creation of at least one serious business idea that gets developed into an actual startup. Our hackathon participants are generally enthusiastic, well-educated, tech savvy students and (young) professionals with a passion for space and innovation. But you don’t have to be a computer programmer or a rocket scientist to enjoy the adventure. In our experience, the teams that consist of participants with the most diverse backgrounds usually create the best solutions. In fact, designers and artists are often the most sought-after people in the team-building phase. 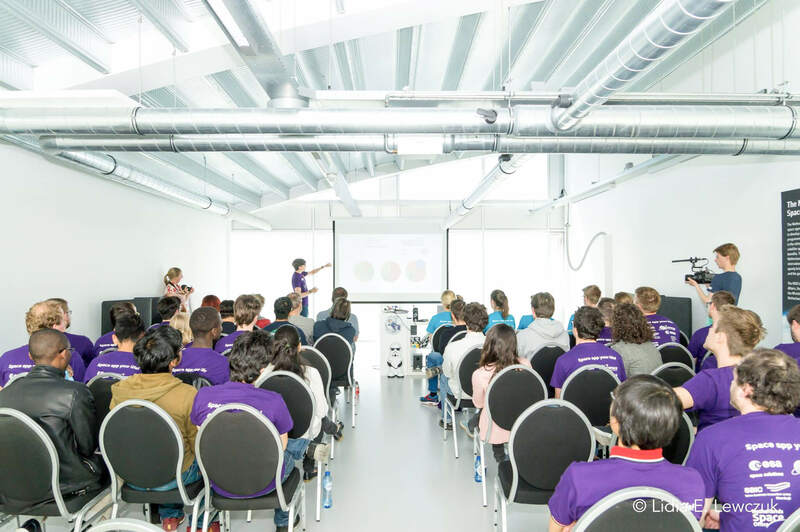 So if you are interested in joining one of our hackathon events as a participant, volunteer or coach, let us know! Participate in a hackathon event!